The history of Scientology has recorded many attempts to make all of L. Ron Hubbard’s works available, in as many languages as possible. But success for those endeavors proved elusive. Technical limitations of sound restoration technology complicated the work of salvaging 50-year-old tapes of Mr. Hubbard’s lectures on Dianetics and Scientology, which he conducted around the globe. In some cases, written materials were dated incorrectly and original works were missing. The challenges of keeping the religion’s theology true to the Founder’s literal intent would require innovative solutions. 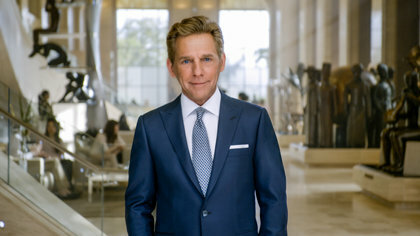 Despite these hurdles, David Miscavige persevered through a program he originally initiated under Mr. Hubbard’s direction. It became the key to the salvation of the Scientology Scriptures. 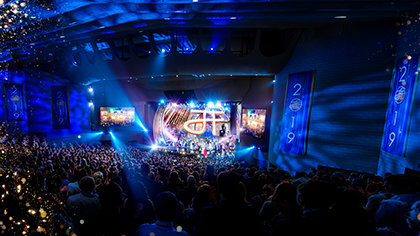 To better understand the challenges Mr. Miscavige faced, one must understand that knowledge derived from the study of Dianetics and Scientology follows the chronological path of L. Ron Hubbard’s research into life, the mind and the spirit, culminating in the development of the Scientology Bridge. Because only a portion of those materials had been published and disseminated, however, there was until then no way for Scientologists to gain a complete understanding of Mr. Hubbard’s philosophies and religious legacy. To provide that understanding, Mr. Hubbard had envisioned the day when all his written and spoken materials could be made broadly available to all Scientologists in every land. David Miscavige would make that vision a reality. The “Congress” lectures released under the banner of the Golden Age of Knowledge were designed precisely to that end. As Mr. Miscavige announced in 2005, this lecture series gives direct access to Mr. Hubbard’s broad public forums in which he described the milestone discoveries of Dianetics and Scientology. As with other materials that would subsequently come to light under the Golden Age of Knowledge, these lectures were translated into 15 major languages, making the theology of Scientology accessible to roughly half the world’s population. Restoring Mr. Hubbard’s original lectures from the 1950s and up to the 1980s was a major component of the project to ensure that Dianetics and Scientology technology remains true to the Founder’s teachings. Mr. Hubbard delivered hundreds of lectures to Dianeticists and Scientologists. Many of the lectures, delivered in venues around the world, expanded on some aspect of corresponding books. Although recorded, many of these lectures had never been broadly available in the Church’s formative years, due to a lack of reproduction facilities. One early project had scoured cities where lectures were delivered—Los Angeles, Phoenix, Philadelphia, Washington, D.C., Wichita, London, Melbourne and Johannesburg—and rounded up all known original recordings. But at this point, mass reproduction was still impossible because the originals had deteriorated over the years. Despite various restoration attempts through the years, many of the lectures had never been heard since the day they were delivered. Ultimately, every word and line in every L. Ron Hubbard book was researched, verified or corrected by Mr. Miscavige to ensure absolute purity. By the turn of the 21st century, however, computer and digital technology had advanced dramatically, and the painstaking work was begun anew—this time with a positive result. Even then, to achieve the quality befitting the content, David Miscavige continually pushed boundaries of existing audio technology, eventually establishing the world’s most sophisticated sound restoration studios. After tens of thousands of hours, the project had successfully restored hundreds of hours of previously missing, distorted or inaudible recordings. The net result was the recovery of the enormous body of Scientology Scripture for today, and forever.